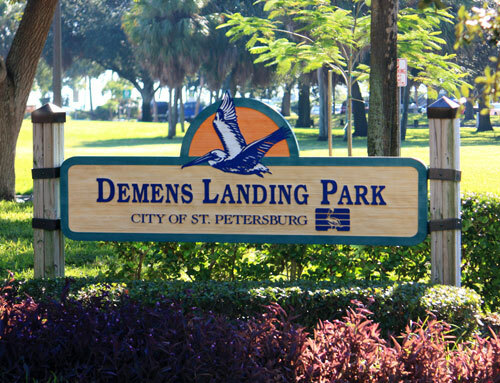 Demens Landing Park is part of the St Petersburg Waterfront Parks system. 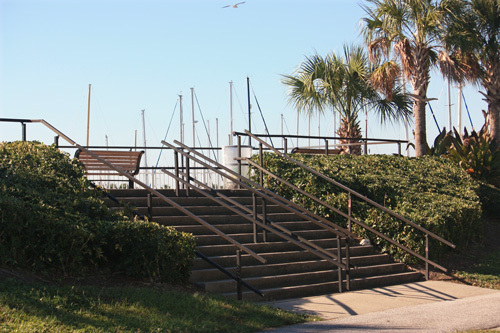 Situated between two yacht basins, this scenic park is the site for the springtime American Stage in the Park. In 2010, the tribal rock musical HAIR was an overwhelming success. In 2011, RENT was performed, and in 2012, the controversial Rocky Horror Show was featured. 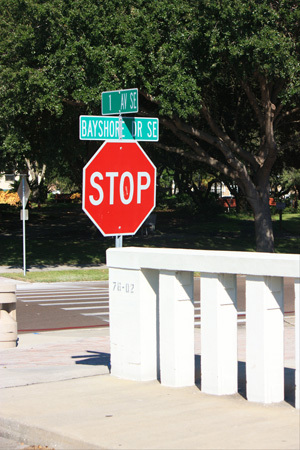 The park is located at 1st Avenue SE and Bayshore Drive, directly across the street from Pioneer Park. It is pretty easy to find because of its huge entrance bridge. The biggest drawback, however, is the lack of parking. Please keep this in mind. 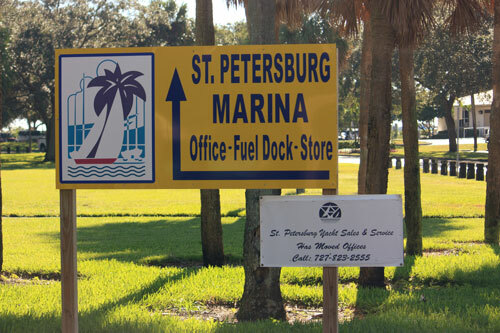 There are two huge lots (Lot B) for boat owners at the St Petersburg Marina, but only about 14 spaces in Lot A for park visitors. 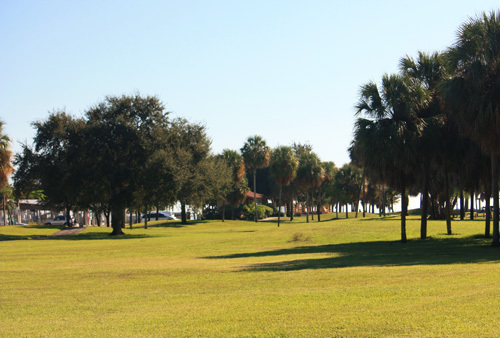 Demens Landing has several covered picnic areas (no grills), clean restrooms, a nice playground for young children, and a beautiful view of Tampa Bay. The address is easy to find. This information sign right outside the entrance provides the details about how Demens Landing came about. The park entrance is actually a bridge. Since parking is so minimal, most visitors walk over. 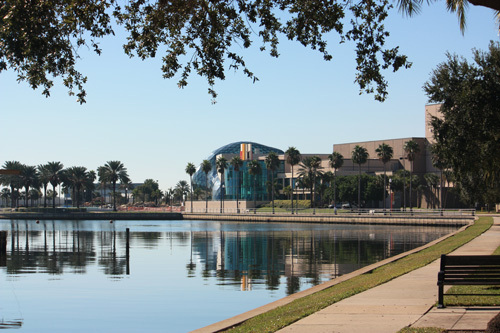 From the bridge, you can look south and see the new Dali Museum right next to historic Al Lang Field. If you look north, you'll see some great boats in the North Basin Marina. There is a huge grassy area for children to play. This is where the spring Plays in the Park are performed. 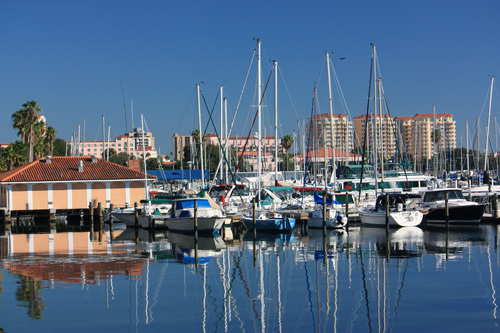 Demens Landing is the location of the St Pete Marina headquarters. 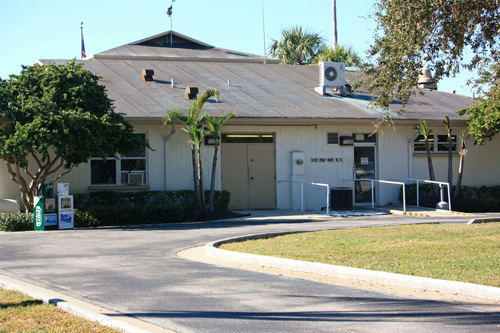 The headquarters building is the only major structure in the park. 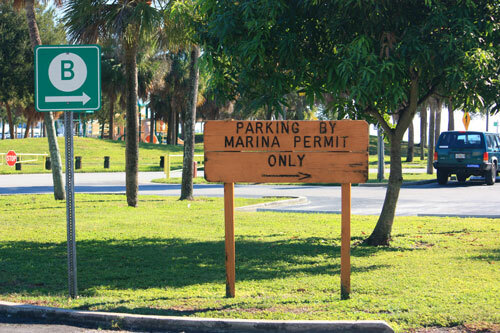 The majority of parking spaces are for boat owners. DO NOT park in them. You will definitely get fined or towed. It is not worth the risk. 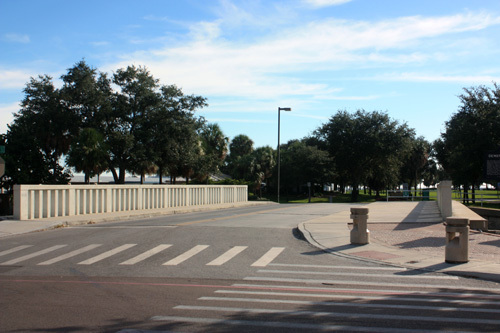 At the far east end of the park is an elevated observation deck. 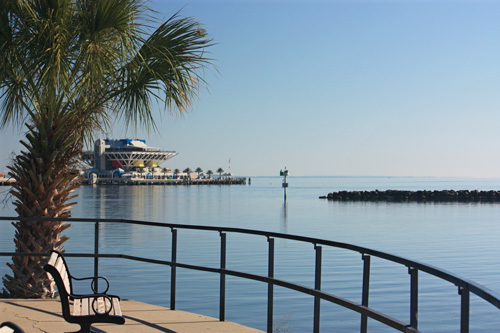 From here you can get a beautiful view of Tampa Bay and St Pete Pier. 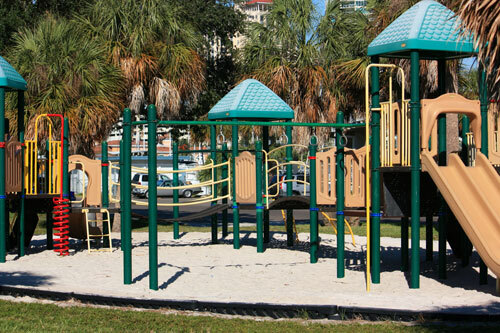 There is a great playground for children at Demens Landing. There is a nice pathway for walking, as well as covered picnic spots. 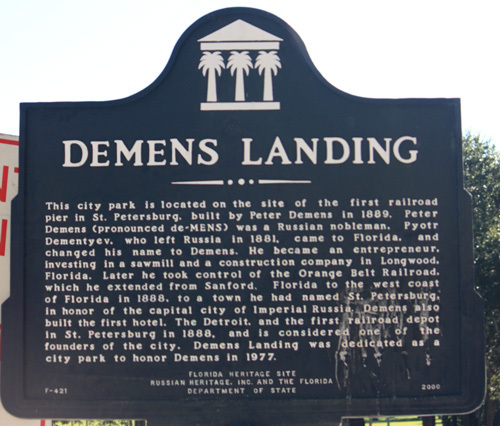 If you get the chance to see Demens Landing Park on one of your Florida beaches vacations, it will be well worth it. 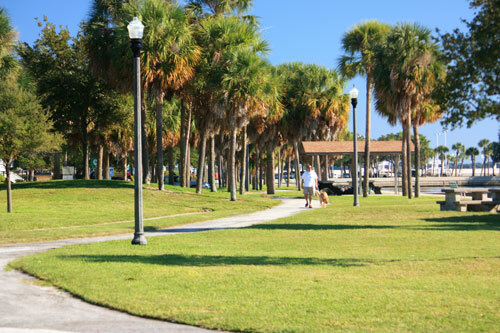 Is St Petersburg FL possibly the most livable city in America?